This fresh interior was designed by Janks Design Group for Vancouver’s ice cream moguls Earnest Icecream (#saltledcarameltodiefor). We collaborated with Janks to create a new model of our Myco light in a custom size and configuration. 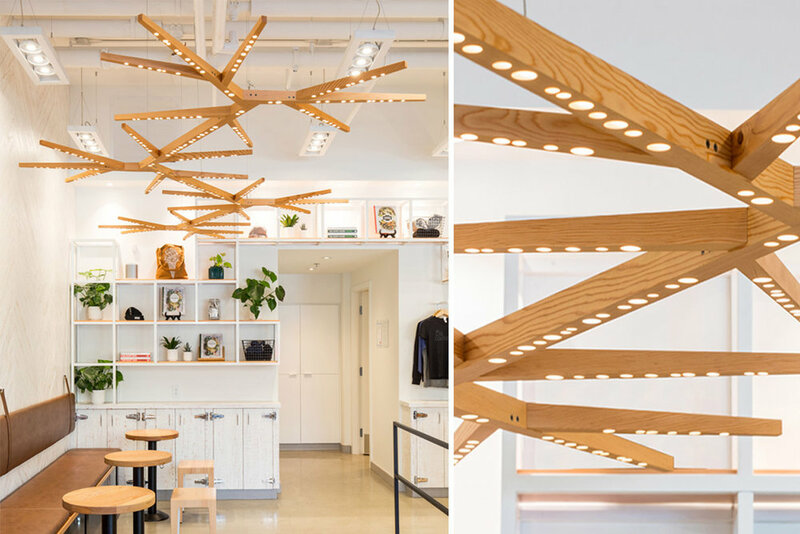 The idea was to create a custom design that perfectly fits the shop’s seating area, creating a sculptural canopy which helps to define the space. Reclaimed Douglas fir was chosen for the wood, a choice that seems inherently appropriate for Earnest’s North Vancouver location on the edge our great mountain forest.